The automaker has teamed up with Gravity Sketch. 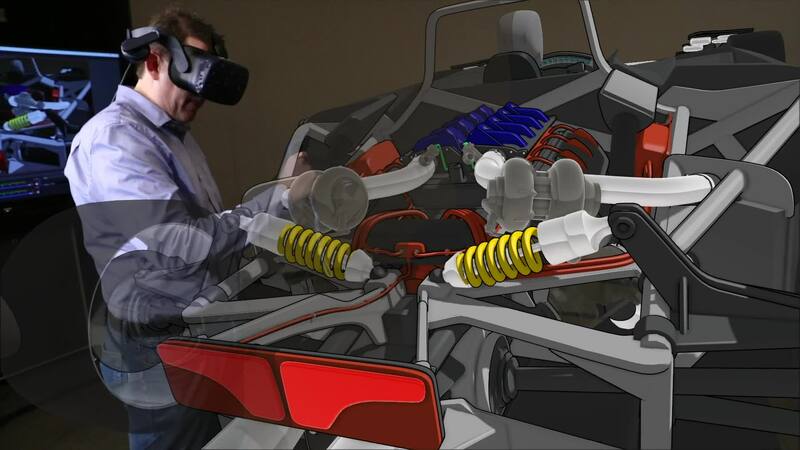 Ford is looking into the possibility of designing cars in virtual reality. The automaker has started experimenting with Gravity Sketch, a tool that allows its designers to draw 3D cars in VR and thereby saving them lots of time in the process. See, vehicle designers start with 2D sketches, which are scanned and rendered in 3D by software to determine if they're feasible. Using Gravity Sketch will give them the power to skip that first step completely and dive straight into 3D -- all they have to do is wear a VR headset and use a controller. That will apparently shave so much time off the design phase that what used to take weeks will only take hours. Using a 3D drawing tool, designers will be able to work from any angle, since they can rotate the model for the best view. They can even step inside the 3D model and tweak elements once they see the driver's or passenger's POV. As Ford design manager Michael Smith explained: "Jumping right into 3D gives us a 360-­degree view of a vehicle as it is being created." It'll likely take a while before you can buy a car designed in VR, but Ford seems to be doing what it can to see if it's in the cards. Five of its design studios have enlisted dozens of designers, who are now testing the tool for workflow feasibility as well for its potential to allow real-time collaboration.